A perfectly romantic and simple wedding at the end of rainy season. Natasha and Jake got married on the 11th of November, 2012. Twelve of their family and friends attended, making for the most intimate, special ceremony and reception. Natasha and Jake contacted me a few months ago with a wedding of two people, maybe eight. Their numbers quickly grew to 14, which they were very excited about! Although their size changed, they still wanted a feeling of intimacy and closeness, which is why we chose this particular beach and this particular restaurant. 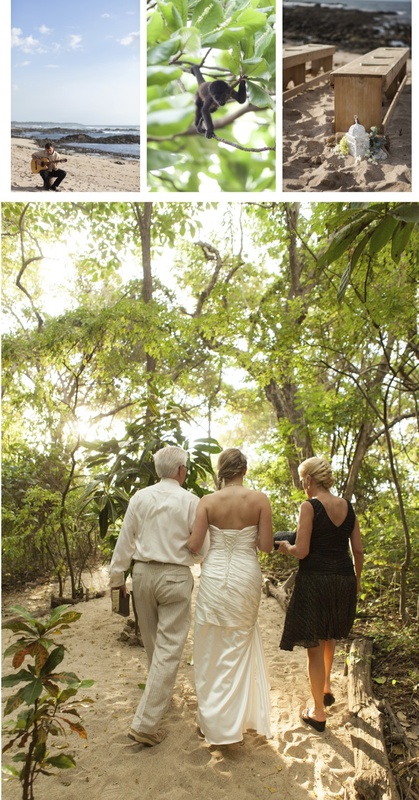 There ceremony was on sandy point in Langosta-Tamarindo, just South of Tamarindo. It was decorated with rustic benches, driftwood, white lacy lanterns and flowers and foliage in romantic hues. The reception was at a local sushi restaurant, which is something very far from the standard wedding reception, but they wanted delicious and cozy. Bamboo Sushi Club, located in the heart of Tamarindo, is a little escape from the business that can be the small town. Its located in a courtyard with bamboo, palm trees and natural woods. The table was decorated with a fun runner, mini terrariums with roses and orchids and lite by white lanterns. Simple and elegant. 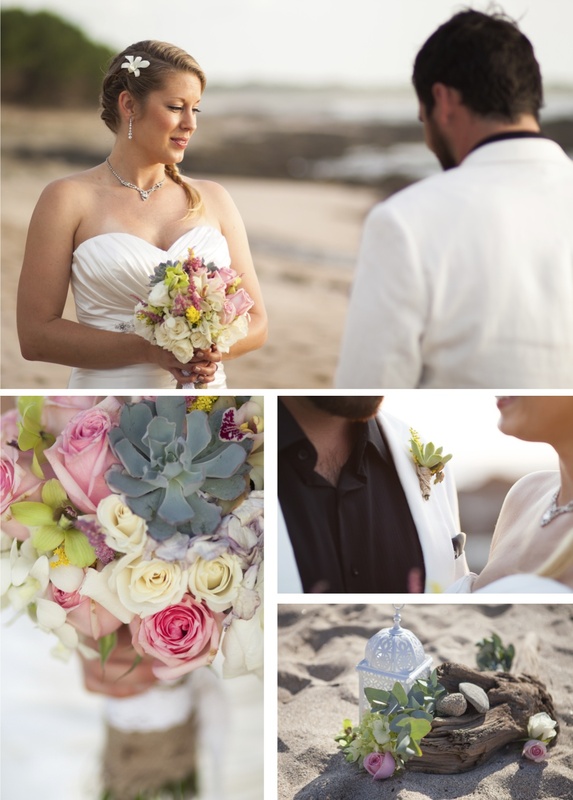 Everything was simple, romantic and elegant, just like Natasha and Jake. It was an honor and pleasure to be part of their wedding. Thank you both so much!